Learn how residents are getting beautiful lawns that are safe for children, pets and all living things. 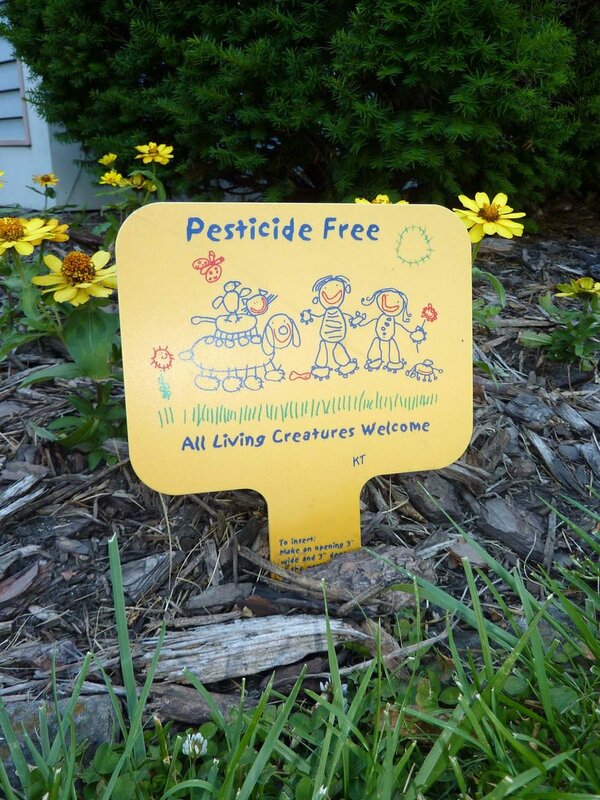 Not sure where to purchase chemical-free lawn care products or native plants? Here is a list of Chicago area resources from The Conservation Foundation. River Forest is pleased to announce the Healthy Lawn, Healthy Family Initiative. Here you will find tips on how you can create a Healthy Lawn. If you take the Pledge you will join the many River Forest residents who have made the commitment to a sustainable and resilient lawn. In doing so, you will contribute to a healthier environment for your family, pets, insect pollinators and the Des Plaines River. You will also receive our “Keep ON the Grass” lawn sign to show your commitment. Great looking lawns abound in Oak Park. But they can take a lot of work and be expensive to keep looking their best – especially if property owners rely on synthetic products to combat weeds and unwanted pests. Synthetic herbicides and pesticides also can harm beneficial plants and insects, as well as affect neighbors who may be sensitive to such products. Luckily there are alternatives that not only often cost less or are free, but also are more environmentally friendly.